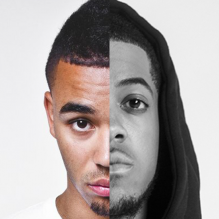 One of the Grime Beefs to light up the scene in 2015/16 was once again Chip, but this time taking on Yungen. Interestingly enough, it seems what started it all off was not actually meant to be a diss – according to Chip. On Chip’s highly rated 96 Bars of Revenge track, which went at about 6 different MC’s, he had one line which said: “If you’re gonna nominate Yungen, big up, but nominate Sneakbo too…”, as Chip believed Sneakbo deserved a MOBO nomination as well as Yungen. Buy Comfy on iTunes now. 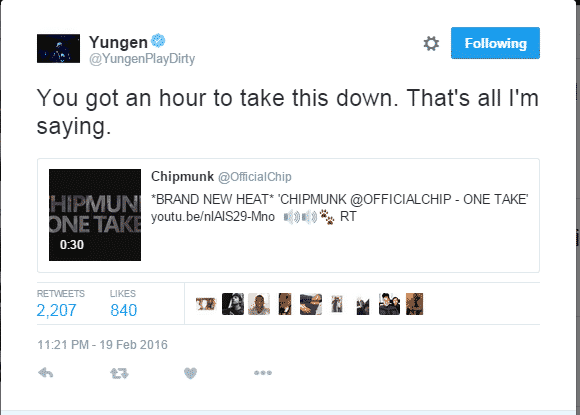 Chip was quick to record the “One Take” freestyle video – and on posting it to Twitter, Yungen immediately quoted the tweet and said ‘You got an hour to take this down, that’s all I’m saying”. Chip didn’t. Yungen fires back, with Punk (Shitmunk) which features a provocative cameo from Tinie Tempah. Yungen received some criticism for the track apparently being pre-recorded – Kaylum Dennis (the videographer) was spotted chilling on Stormzy’s Snapchat in another country. On the same day, Chip then declares Martial Law and returns fire with the “Michelle Riddim (Lil Clive Diss)” video bringing mums into the equation, calling Yungen by his government name (Clive) and then implied he was as insignificant to the Play Dirty crew as Michelle is to Destiny’s Child. 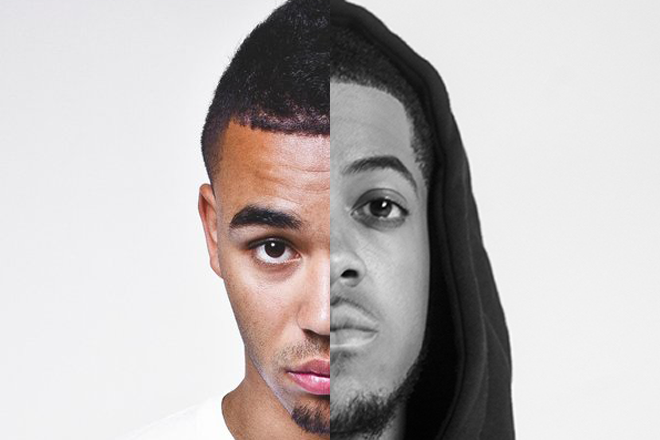 Yungen hits back with the increasingly personal “Oopsy Daisy Riddim”, where the original upload got removed from YouTube for Chip making a claim on the video using Oopsy Daisy Riddim. Chip’s Lil Clive Diss 2 dropped the next day, frustratingly for Chip, “L” was supposed to drop last night but was delayed by video editing/production – so he got some criticism with people waiting up all night. In perhaps a sign of how far the grime scene has come, Channel 4 News even covered the beef. Of course, Chip saw this and couldn’t help himself. Link Up TV dropped hints that a Chip diss track was coming for Yungen. udumb chipcant be defeated cash motto tings fam!!! Thinks he’s a big up.